Bunjil Place is an ambitious and iconic project which will be the centrepiece for cultural events and gatherings for the residents of Melbourne’s outer eastern and south eastern suburbs. Bunjil Place will comprise twelve individual civic spaces within a single precinct. The City of Casey anticipates the facilities will attract more than two million visitors each year. The 1.6 hectare site will form an integrated cultural precinct comprising: an 800 seat, 3,500m2 performing arts centre with associated front of house and foyer, green rooms, fly tower, orchestra pit, rehearsal and technical services; art gallery; multi-purpose studio; community library; meeting rooms; customer service centre; cafe; basement and at-grade car parks; loading docks; service areas and storage; Council service area, call centre, meeting rooms and foyer; offices; council chamber and a 350 person function venue; and 5000m2 of open space and community plaza. Root Partnerships provided project management services associated with the cultural precinct during the development of the project’s design brief, and design management services for concept, schematic and developed design phases of the project. Building on our previous engagements to the City of Casey as project advisor and design manager, Root Partnerships was engaged in April 2015 as project manager and superintendent for the construction, commissioning and handover stages of the project. Based on Bunjil – the eagle of Aboriginal mythology – the distinctive building features a stunning sculpture-like timber grillage structure representative of Bunjil’s ‘wings’. 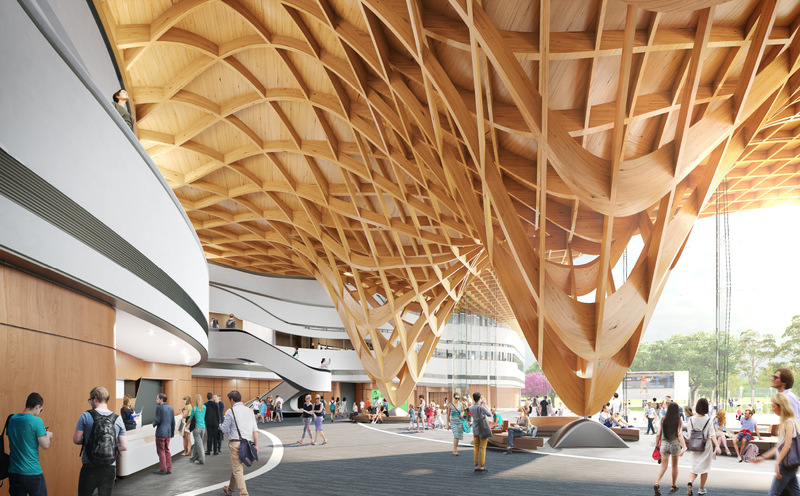 Once integrated within the building the complex timber grillage – fabricated in Germany – will highlight the aspirational and unique architecture of this world class community building. Images courtesy of The City of Casey.